The Austin Runners Club team! Running with people who are working towards the same goal just makes sense. Training with partners is a great way to keep each other on track and hold one another accountable. Would you rather have one team member pick up everyone’s packet or have the whole team go as a group to soak up the energy of the expo? 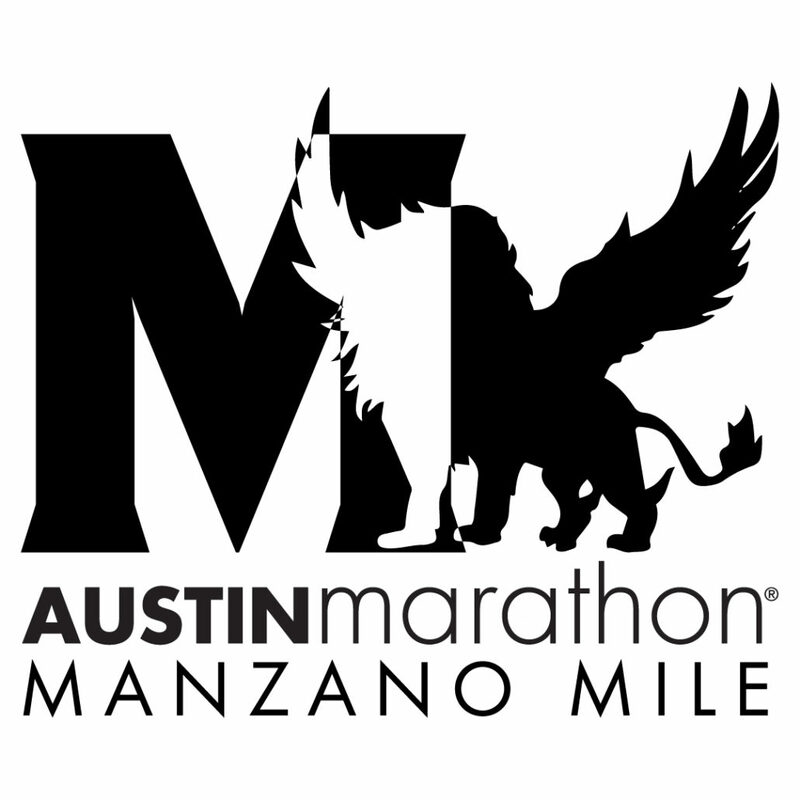 One good thing about building an Austin Marathon team is that you can choose. Love having options! Parties are awesome, but parties are better with people you know. 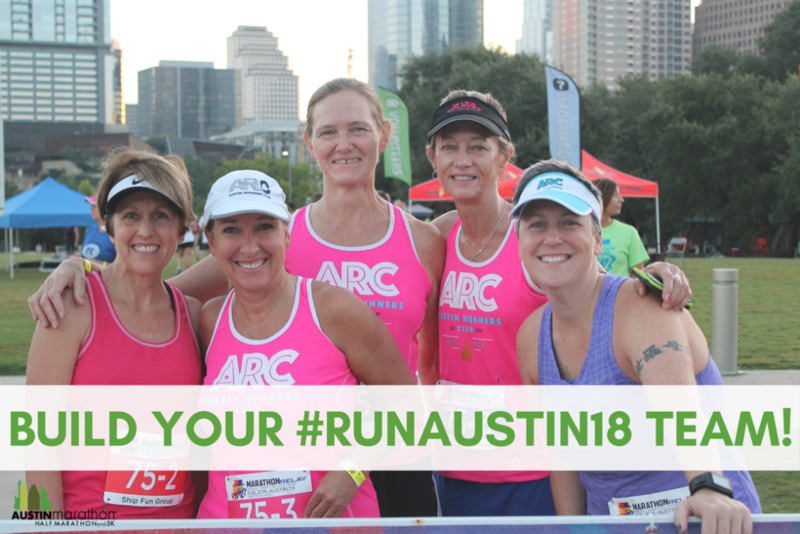 Finish the Austin Marathon or half marathon, kick back with your team at your team tent, and celebrate your accomplishments at the Austin Marathon finish line festival. 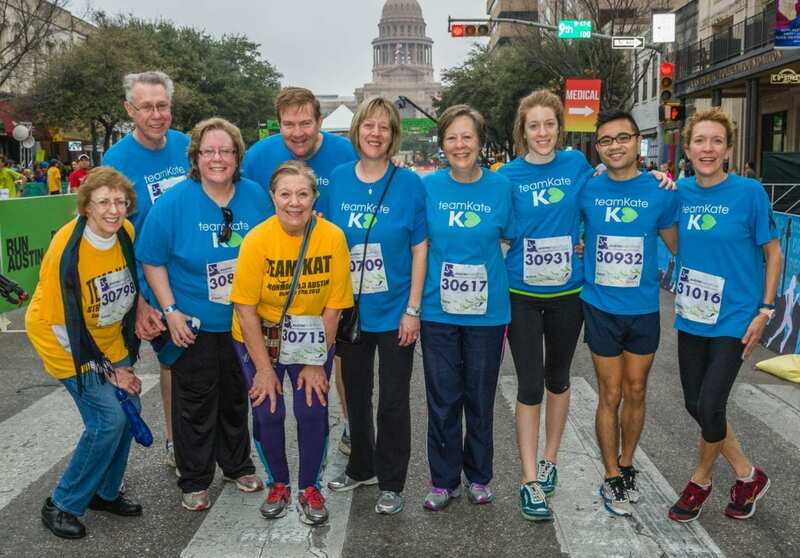 Team Kate at the 2017 Austin Marathon. After reading these reasons, why wouldn’t you get a team together? If you realize that you really want to run with a team but haven’t started making one, don’t worry, team registration doesn’t close until January 5th. Get started today! Time to break out that red dress you’ve been wanting to wear since… last year! Run one of Austin’s most fun traditions: the 12th Annual Red Dress Run. Slip on your red dress and lace up your running shoes (heels optional) on December 15th and meet us at Rogue Running. The fun begins at 7 p.m. so don’t be late. Tell us you’re coming and give us a sneak peek of your running attire! The approximately 5-mile run will visit 12 Austin bars and a good time is guaranteed at each one. Participants for Austin’s greatest holiday pub run must be 21+. Please bring cash and your ID. Bars and route to be announced. See you there! 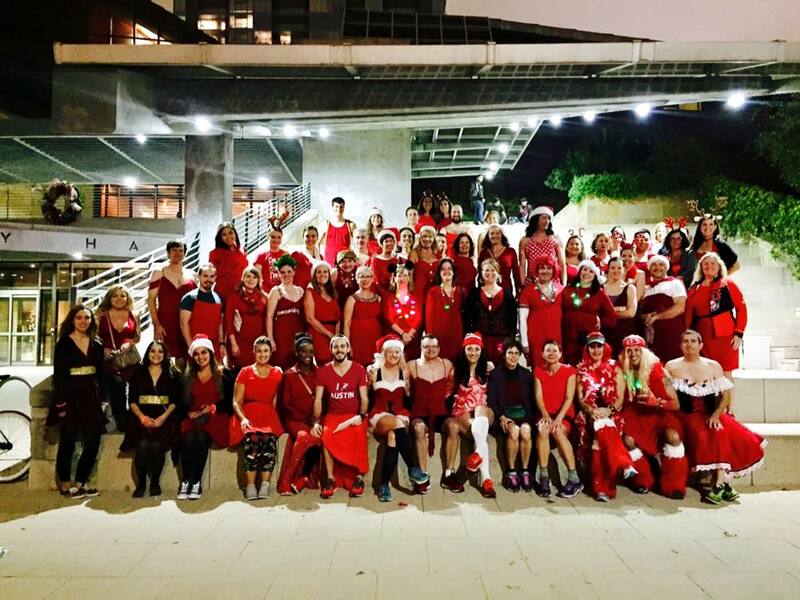 The 12th Annual Red Dress Run is presented by the Austin Duathletes and sponsored by the 2018 Austin Marathon. Best dressed male and female will get one entry each to the 2018 Austin Marathon (good for any distance). Two additional entries (good for any distance) will be raffled. Stay tuned for more surprises!